Uses no fossil fuels what so ever, so has a massive impact on reducing your electricity bills. Typically 14% return on investment each year – better than any bank! Test Air source pumps extract heat from the outside and transfer it via a thermodynamic cycle into usable heat inside. They are installed as part of an overall climate control system or to heat businesses, workshops, factories and warehouses. Air source heat pumps offer a flexible and cost-effective alternative to fossil fuel boilers and are so efficient that they are classified as a renewable energy source. As such they qualify for The Government’s Renewable Heat Incentive (RHI) payments. 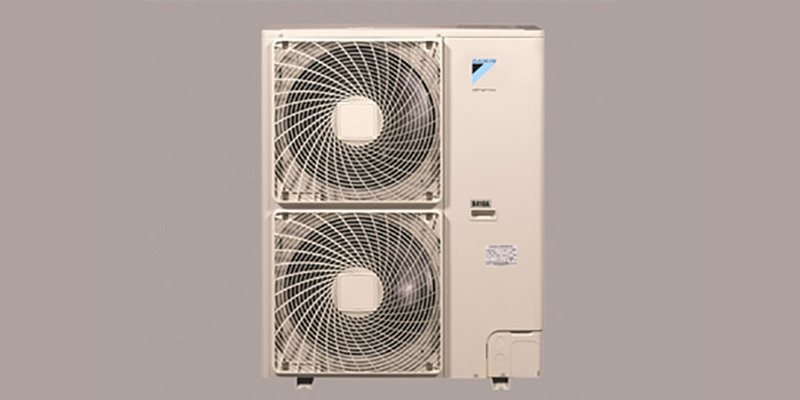 According to Daikin, the UK’s leading provider of air source heat pumps, they are around 300% efficient. This means that for every unit of energy used by the heat pump in operation, three or more units of heat are generated for use in a building.